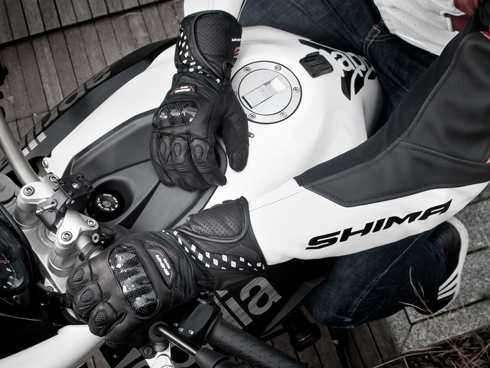 The SHIMA PROSPEED is a man's glove designed for sports touring. 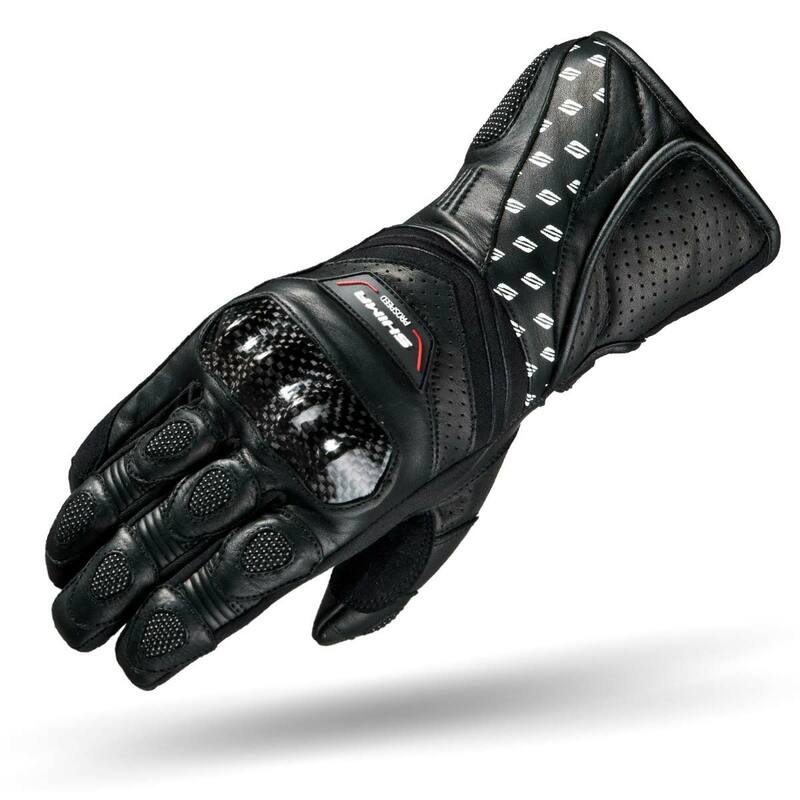 Manufactured from soft, natural leather, the PROSPEED conforms perfectly to your grip both on and off the track. The fingers are protected by foam protectors covered with SUPERFABRIC. 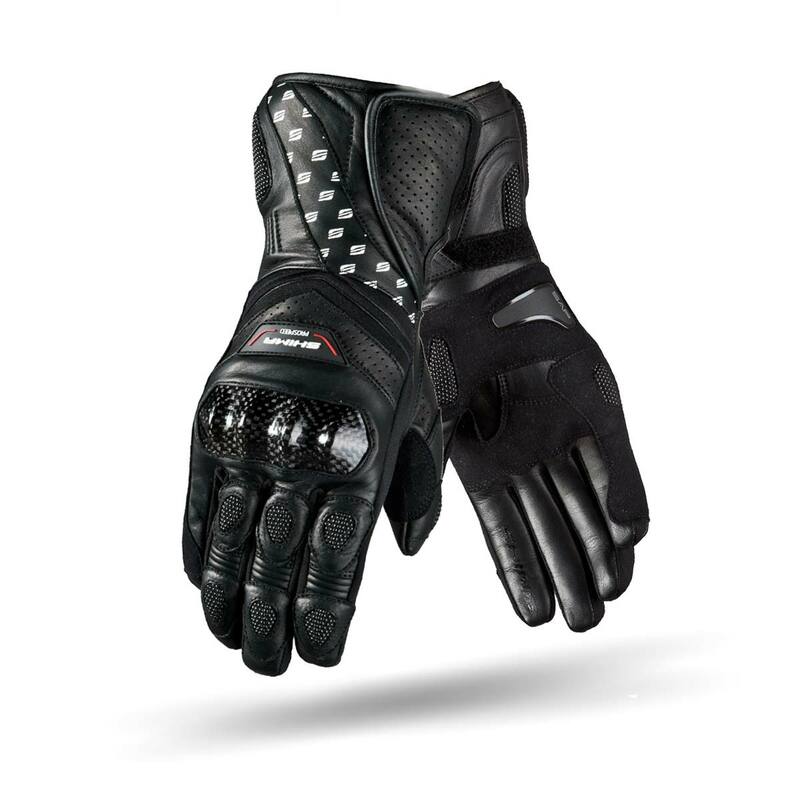 The PROSPEED's wrist area features a profiled TPU protector and two velcro fasteners for maximum hand protection. 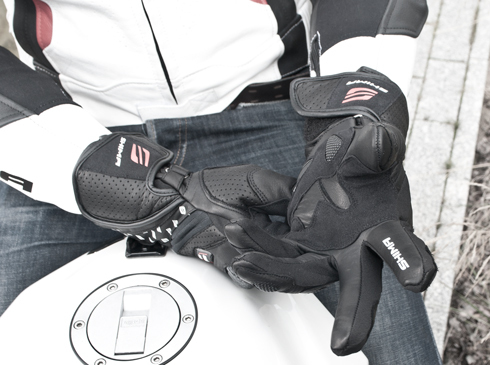 The area between the fingers is covered with a breathable fabric, ensuring solid airflow in warm weather. 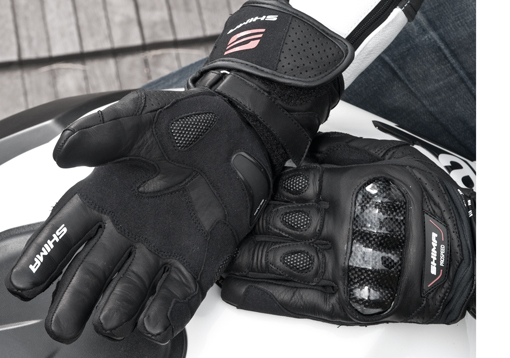 The PROSPEED features SAP (SHIMA ADVANCED PROTECTION) technology, guaranteeing the absolute highest degree of safety. Additionally, the inside of the wrist is protected by a supporting protector, ensuring your hand os protected in case of a fall or slide. Providing additional airflow the perforated leather panels holes are designed for optimal protection and ventialtion performance. SHIMA ADVANCED PROTECTION stand for our philosophy of making more secure products. SAP logo label means that on design level the product has been prepared for taking into account different types of crashes riders involve into and has been prepared for handle them. All SAP branded products feature sliders protecting wrist and scaphoid bones, extra protection layers on side of the hand and hard knuckle protector as well as improved materials and performance. One of the best cut- and abrasion-resistant materials. The reason why SuperFabric® works so good is that tiny laser-cut ceramic plates are attached over a fabric surface. This unique approach and solution, in addition to the fabric’s surprisingly eco-friendly textiles, demonstrates the high level of performance. In short words - SuperFabric offers over 10x better abrasion resistance performance than leather. 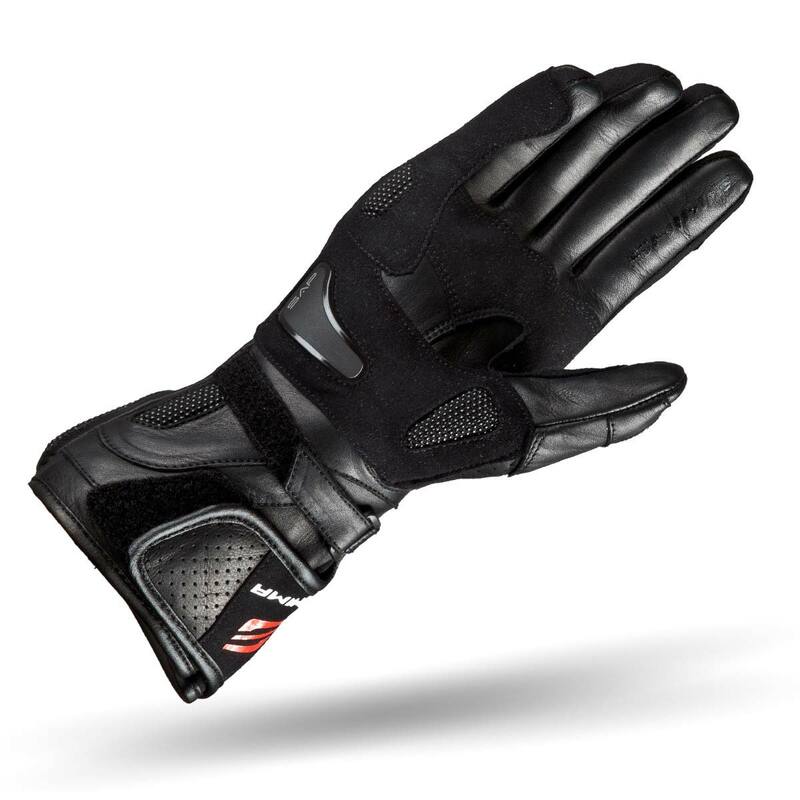 PROSPEED is a sports touring glove made of soft natural leather with neoprene and lycra inserts. The main knuckle protector is reinforced with carbon fiber while the fingers, cuff and wrist are made with SuperFabric® for additional abrasion and cut resistance. Additionally, the crucial area of the palm is protected by a custom-shaped TPU palm slider. 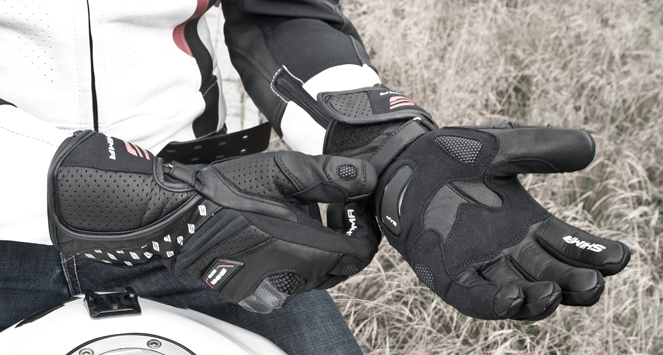 Breathable fabric inserts between the fingers provide an increased level of comfort.